A new challenge is up at Classy Cards ‘n Such: Christmas Brights, and I decided to mix a few patterns with bright colors to create my card this week! I certainly went a little CAS with this one! I used Spellbinders dies mostly to make my card. I altered some Fancy Label Tags Two die cuts, cut them in half and used them as borders, adhering them to the back of the yellow block. I mixed two different snowflake sets to create that large snowflake. 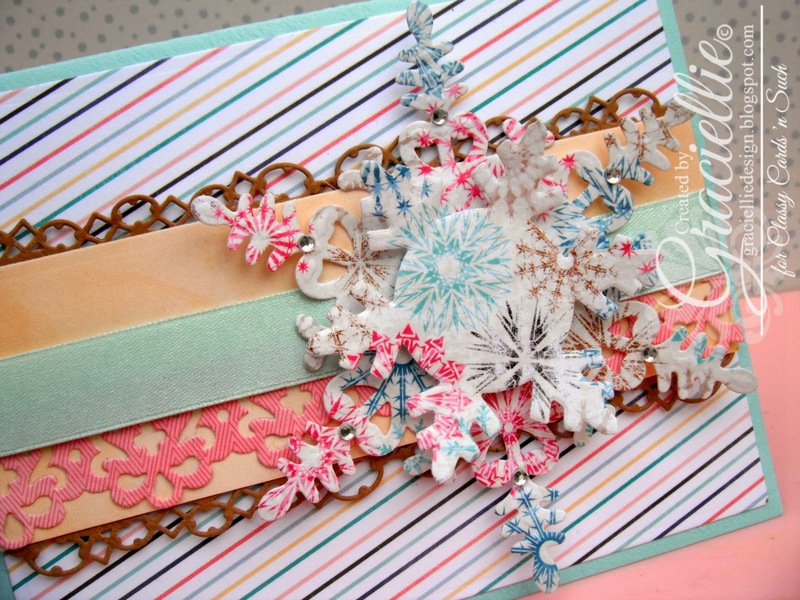 The largest snowflake was die cut with the Snowflake Pendant set from Spellbinders and the smallest one was cut with the Snowflake set from Stampendous. I double mounted the snowflakes to give them more dimension and embellished them with some Baby Rhinestones Silver. 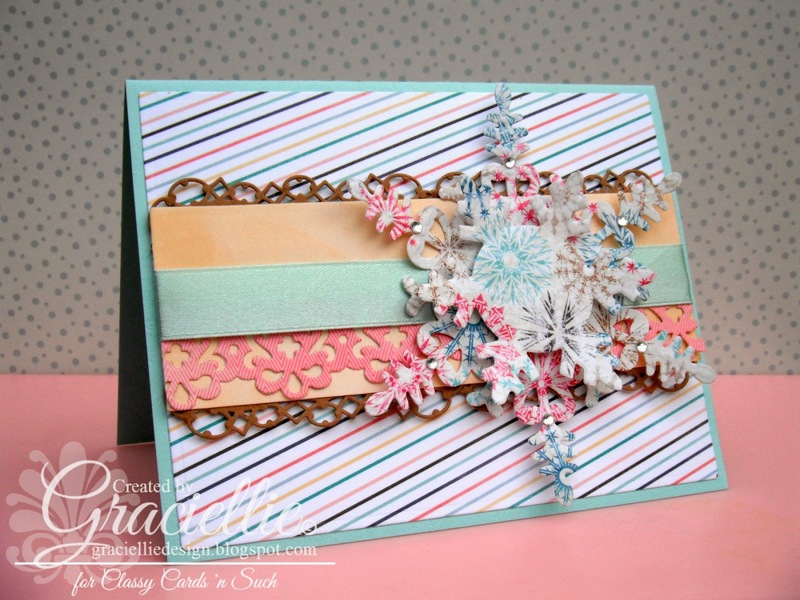 I invite you to stop by Classy Cards ‘n Such shop today! Some of the supplies I used can be found on the Clearance section, so don’t miss out! Remember to use my code Gracie-10 to get an additional 10% off! I hope you enjoyed seeing my card for today! Thanks so much for stopping by. Excellent use of the borders and snowflakes. Very pretty card.